WOODEN HANGERS WHITE MOD. 60WW, BOX 50 PCS. 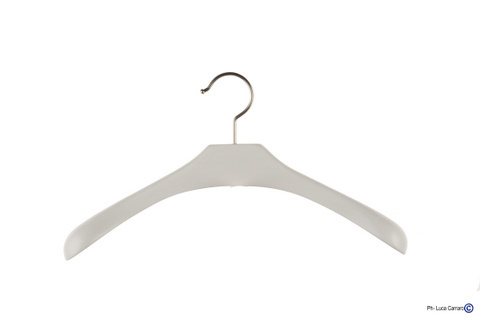 Wood Hangers, Wooden Hangers, Wooden Coat-Hangers, White Hangers, Hangers, Coat-hangers, Clothes-hangers, Garment Racks, Garment Rails, Baby hangers, Children hangers, Pearly Hangers, Gloss Hangers, Lacquered Hangers, Plastic Hangers, Plastic Coat-Hangers : Online shop for coat-hangers, Wide range of coat-hangers, supplier of velvet, soft-touch, lacquered finish! Home :: Wooden White Hangers :: WOODEN HANGERS WHITE MOD. 60WW, BOX 50 PCS. WOODEN HANGERS WHITE MOD. 60WW, BOX 50 PCS. Solid beechwood hanger, white lacquered, swivel hook. Suitable for coats, jackets, furs.